Tesla Chief Accounting Officer, Chief People Officer leave company | Car News, Reviews, & Pricing for New & Used Cars. Note: the above video includes adult language, alcohol and marijuana use. 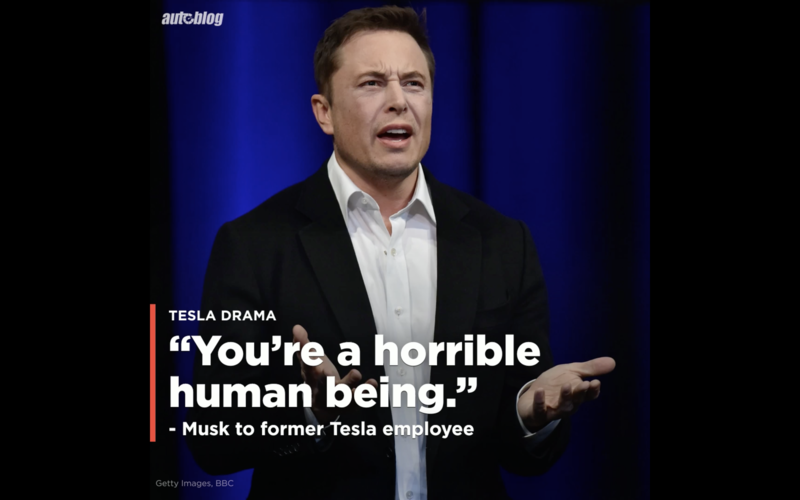 Tesla Inc shares fell nearly 9 percent on Friday as the resignation of its chief accounting officer after just a month at work spooked investors amid another social media storm around billionaire chief executive Elon Musk. Bloomberg also reported Tesla’s Chief People Officer Gaby Toledano was to leave the company just over a year after joining. “We have been calling for a Co-CEO or COO to assist to codifying the leadership structure and in so doing, the culture at Tesla,” said James Albertine, an analyst at brokerage Consumer Edge. Tesla shares, down just 1 percent after Musk’s appearance on the Rogan podcast, fell another 7 percent in the half hour after the Morton’s resignation. They were down 8 percent by 9:13 A.M. Eastern. Taking a puff from a joint — which Rogan said was a blend of tobacco and marijuana and legal in California — Musk said he “almost never” smoked.